IOSH, i.e. the Institution of Occupational Safety and Health is a British institute associating professionals in the occupational and health safety discipline. IOSH determines the safety standards and supervises the exams on the OHS principles applicable in the UK. The IOSH Working Safely certificate allows applying for the issue of the CSCS Labourer card (after passing the Health & Safety Test). 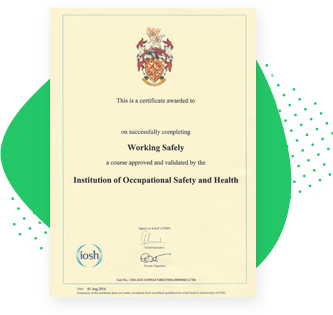 The IOSH Working Safely certificate is issued in the form of a diploma or plastic card (optional) and includes the examining institute's logo, and is valid for 3 years. 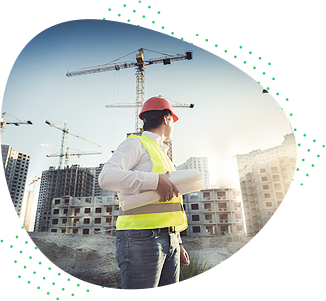 The IOSH Working Safely certificate is required for issuing the CSCS card (is equivalent to the QCF/SCQF Level 1 Award Health and Safety in a Construction Environment permits). The certificate can be attained in Poland without the need to travel to the UK. The IOSH training is intended for newly hired employees starting work in the UK. The IOSH Working Safely training and exam is available in Polish and takes place via the Internet - an e-learning platform is provided. The training course and exam take place via the Internet - an e-learning platform is provided (duration of 6-8 hours). The training can be take any place and time, it is required to have access to a computer, laptop or tablet. Available languages: Polish and English. The exam lasts 45 minutes. The exam must be completed in a single sitting. The exam takes place via the Internet on a provided e-learning platform. It can be taken at a suitable time after completion of the training.